The Palace of Fine Arts in San Francisco was originally constructed for the 1915 Panama-Pacific Exposition in order to exhibit works of art. 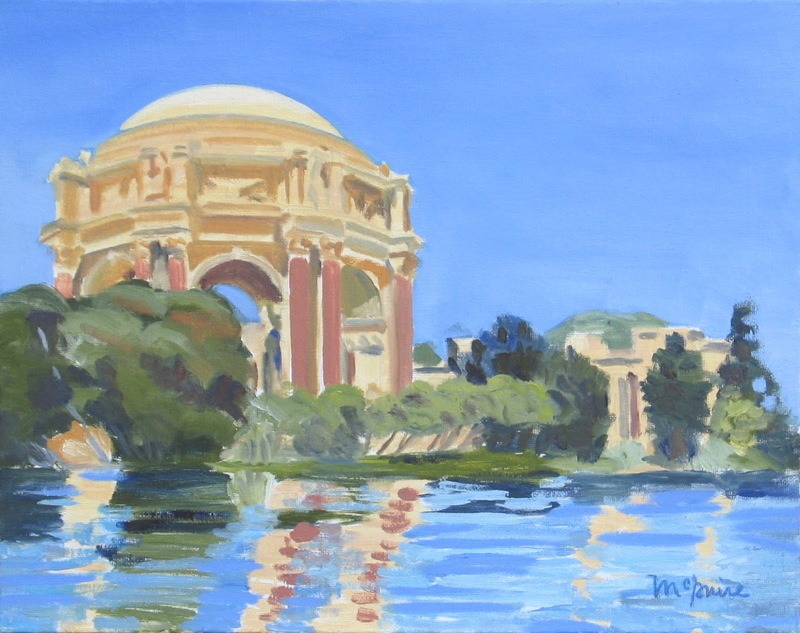 Bernard Maybeck designed the Palace of Fine Arts and was inspired by Greek and Roman architecture. The 1100 foot pergola and central rotunda were built around a lagoon which provides a mirrored surface to reflect the grand buildings. 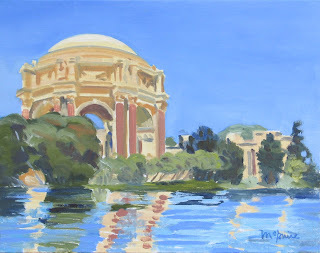 The painting above was painted plein air at the Palace of Fine Arts. 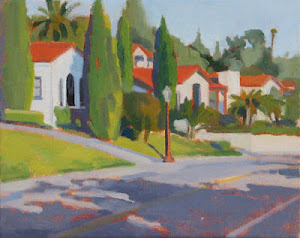 I painted with my friend Camilla, on an unusually sunny day, with clear blue skies. Capturing the perspective of the corinthian columns was a challenge, as well as the gold color of the rotunda dome. This 11x14" painting is available framed.